Gemini 2 Trading Software Review - Scam in Action! 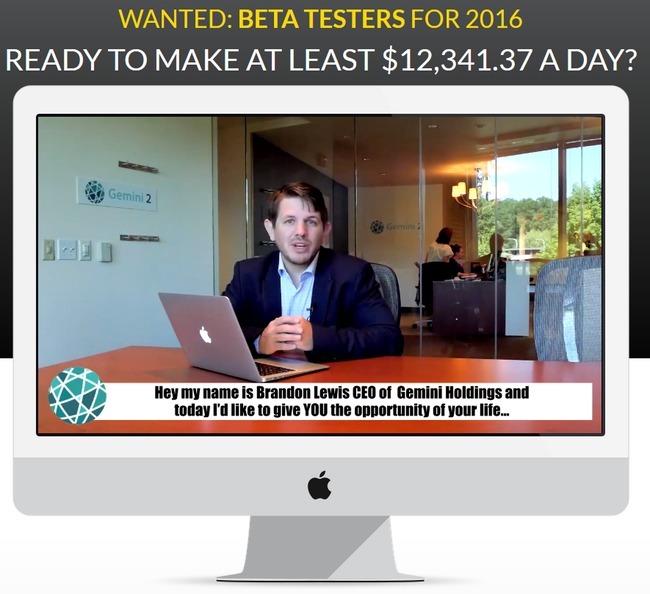 Gemini 2 trading software by Brandon Lewis claims that it can make you at least $12,000 a day, but I have 3 readers who lost at least $500 each to the scam. Yes, Gemini 2 is a scam. If you are still considering to sign up and fund your account, make sure you read this in-depth Gemini 2 review before making up your mind. – There are no limited spots to Gemini 2: don’t rush to sign up! Is it really possible to make more than $12,000 a day on autopilot? The alleged founder of Gemini 2 system, Brandon Lewis claims to be an ex-engineer of Google that left the job after he discovered a big secret that can shake the financial world. 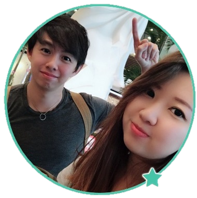 He developed the Gemini 2 trading software that has never made a single loss since the past 2 years, generating thousands of dollars profits a day. Instead of keeping the software to himself or his close friends, he is now recruiting 50 random strangers all over the world to make huge profits with him. Not just that, he is giving away the software for free, too. Sounds ridiculous? Indeed. Yet hundreds of people are falling for the scam each day. 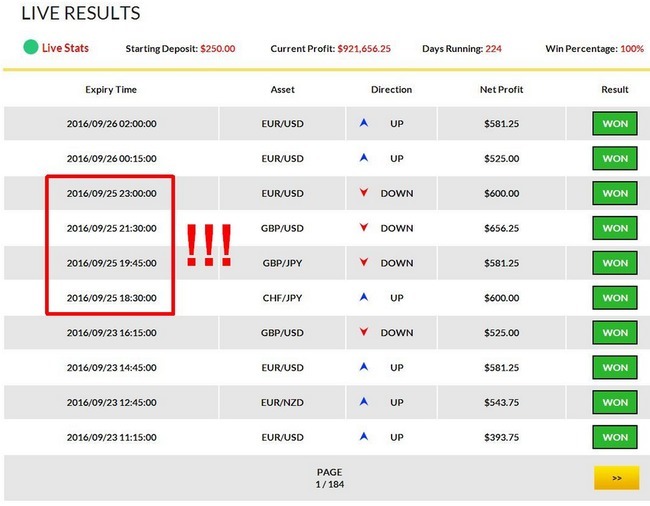 Another member had a similar experience and had his account reduced from $250 to a mere $14.67 in just 3 days time. There is no free lunch in this world. Many people are led to believe that they can get rich quick using the internet, but it’s simply not true. Even though there is real money to be made online, it doesn’t come automated or effortless. Making money online involves effort and dedication, just like building a traditional brick-and-mortar business. If something sounds too good to be true, analyze it rationally before you pay for it. Did you feel pressured to sign up for Gemini 2 scam immediately? Most victims lose money to online scams because they are careless and pressured to make a purchase, just like those who are forced to sign up before the spots run out in Gemini 2 scam. The truth is, there was no limited spots to begin with. Brandon Lewis claims that there are only 50 spots available to Gemini 2 software, and there is a counter right below the sales video to show the remaining spots. The number of remaining spots starts with 5 at the beginning of the sales video, and slowly goes down to 1 as time passes, as if people are taking up the spots. At this point, most victims choose to go with it and give up their personal information, afraid that they are losing the only chance in a lifetime. Don’t do that, because there is an easy way to find out if the counter is real. When the counter goes down to “1 spot remaining”, open the same webpage in an incognito window and observe the number of remaining spot. It will display as “5 spots remaining”. If the counter is real, you would’ve seen the same number of spots on both webpage. The fact that both pages display different numbers shows that it’s not accurate at all. In fact, the counter is just a pre-programmed computer script that is set to countdown from 5 spots every time the webpage is loaded. Remember to open the 2nd window in an incognito tab to make sure it’s a fresh load for the website. Gemini 2 was trading even when the market was close? Everyone who has traded binary options before would know that there is no market activity on the weekends, much like how the stocks exchange operate. However, according to the “live results” table in Gemini 2 website, the software was still making winning trades on 25 Sep 2016, which was obviously a SUNDAY. There is only 1 way to describe this discrepancy – the live results table is fake. Similar to the counter described above, the table is generated using computer script that matches dates to random assets and profits. There are no real trades and profits behind these numbers. It’s another tool used by the scammers to trick inexperienced internet users into thinking that the software is legitimate. In the FAQ section, Gemini 2 scam claims to have a success rate of 100%, where they have not had a losing trade in over 2 years of trading. This means that Gemini 2 software has been around for at least 2 years, since year 2014. However, I’ve discovered evidence to show that Gemini 2 has only been introduced in year 2016. Keep in mind that the software can only be obtained through their website itself at gemini2.co, as it is tied to the broker account assigned to you through their registration form in the website. In other words, you can’t get the software anywhere else even if you wanted to. With this information, I consulted the whois information for gemini2.co. Whois information contains important details about a website, including the creation date and expiry date of the site. 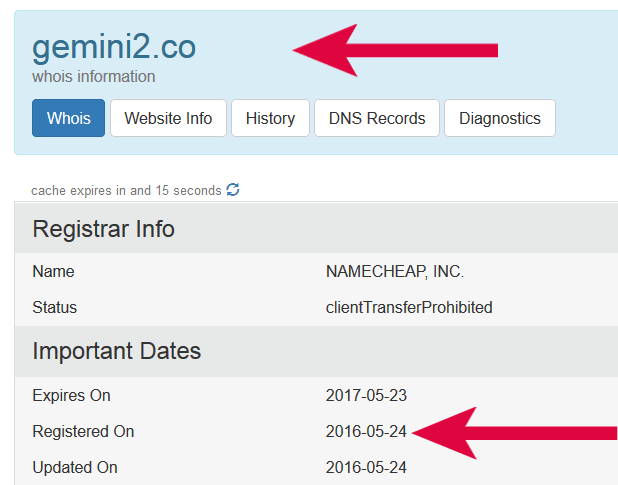 According to the whois information, gemini2.co was only created on 24 May 2016, just months before this review was written. Which means that there is no way the software has been around since 2014. The claim of having no losing trades since 2014 is another lie told by Gemini 2 scam in order to instill confidence in the victims, hoping to lure them into signing up. If you decide to sign up for Gemini 2 system, you will be required to open a new broker account with their partner brokers, which are unregulated by monetary authorities. The losses are pocketed by the broker, which is then shared with its partner-in-crime – the scammers behind Gemini 2. GEMINI 2 IS A SCAM. I strongly advise you to stay away from the scam if you don’t want to lose your hard-earned money. Maybe it wasn’t activated properly, or maybe it was a weekend and there was no market to trade. Either way, you should withdraw your money and quit using it. Sigh I hope I came across this review earlier.. My $250 deposit only left with $91.. There is still time to save your remaining fund. Stop the autotrader right away and request a withdrawal from your broker. Unfortunately you can’t recover the lost fund, but at least you can save part of it.